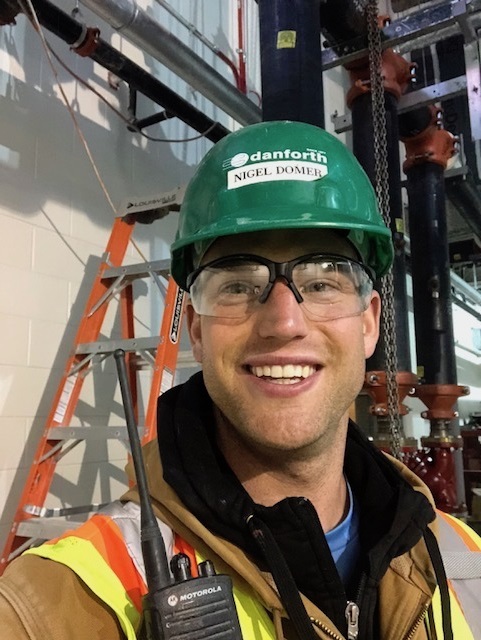 In this Raken spotlight, we talk with Nigel Domer, General Foreman at John W. Danforth about his favorite projects he's worked on, using technology in the field, and what he enjoys when he's not on the jobsite. What are some of the most memorable projects you’ve worked on, and why were they special? College of Nanoscale Science and Engineering (CNSE) – We were awarded the project with limited IFC drawings (60% complete to be exact) and a fast-approaching deadline. Through intense, collaborative efforts with our operations team and the use of 3D laser-scanned imagery, we were able to seamlessly share data from the field with our CAD department and fabrication shops to delivery an industry-leading experience and product, on time and, that exceeded our client’s highest expectations. This project was made special by an extraordinary exhibition of teamwork coupled with the utilization of technology to accomplish what not that long ago, would have been seen as unachievable. The sense of accomplishment that I feel throughout the entire process as we build projects from conception to completion is really unparalleled. How does technology help you do your job? With the integration of technology we are able to complete projects within significantly reduced timetables (even from a couple years ago), capture more accurate bills of material and thereby reduce cost overruns and log, analyze and remotely collaborate in real time with our operations team on issues – be it site safety, schedule delays or system clashes and/or changes requiring redesign. Golf. Any day out on the course is a great day! We at Raken are constantly amazed by the projects completed by the JW Danforth team and can't wait to see what's next.